PennsylvAsia: "HOW: Hands-On Workshop Series — Obon Lanterns with Shannon", August 1 in Oakland. "HOW: Hands-On Workshop Series — Obon Lanterns with Shannon", August 1 in Oakland. The Carnegie Library in Oakland will host an Obon Lantern workshop on Tuesday, August 1 as part of its Hands-On Workshop series. Join us for HOW, a series of hands-on workshops for adults and teens. Learn from skilled craftspeople. Dig in and try things out in a creative, supportive environment. Join us for one or all of these free programs. Materials provided. Make floating paper lanterns traditionally used during Obon in Japan. 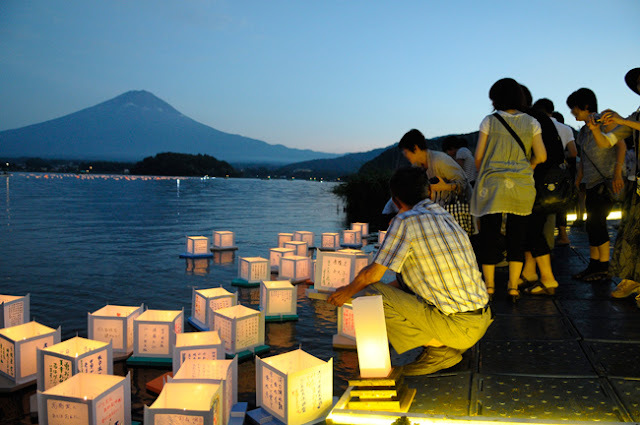 Obon is a Japanese Buddhist custom honoring the spirits of one’s ancestors. No registration is necessary for these sessions. Seating for all workshops is available to 20 participants on a first-come, first-served basis. You’ll want to come early to be sure you MAKE it on time! The event runs from 6:00 to 7:30 pm and is free and open to the public. The library is located at 4400 Forbes Ave. in Oakland (map) and is accessible by buses 28X, 54, 61C, 61D, 67, 69, 71A, 71B, 71C, 71D, and 93.